Download our APP for easy access to the WEBCAMS & event notifications! Is Kinderbugs Right For My Child? 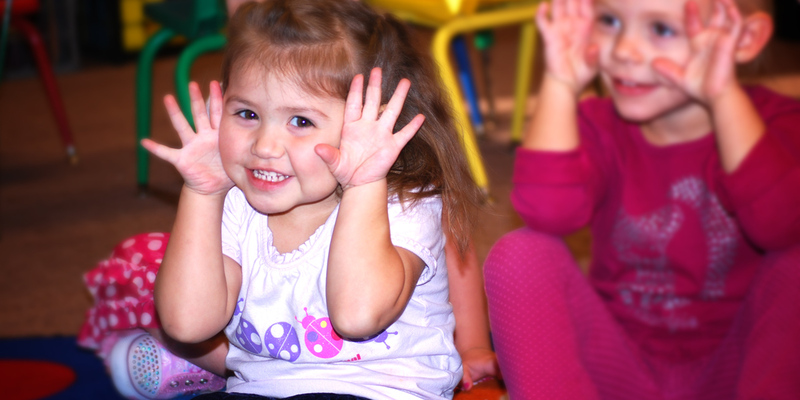 This class is for 2-3 year olds, as an introductory preschool program for our youngest students. This class is for 3-4 year olds, teaching them the fundamentals they need in an academic atmosphere. 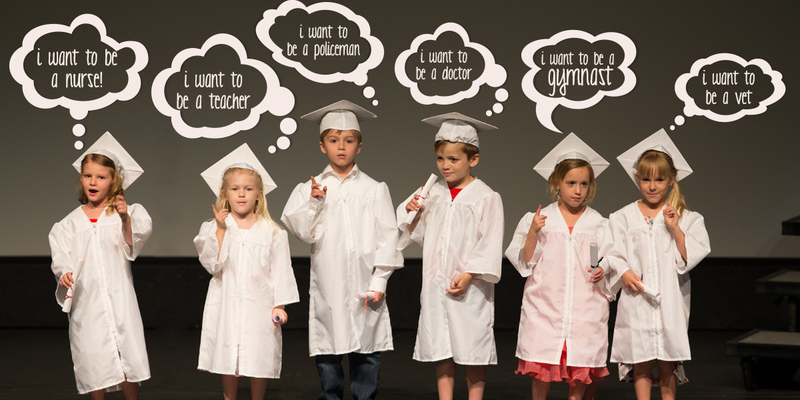 This class prepares students for Kindergarten, giving them the foundation they need to succeed. 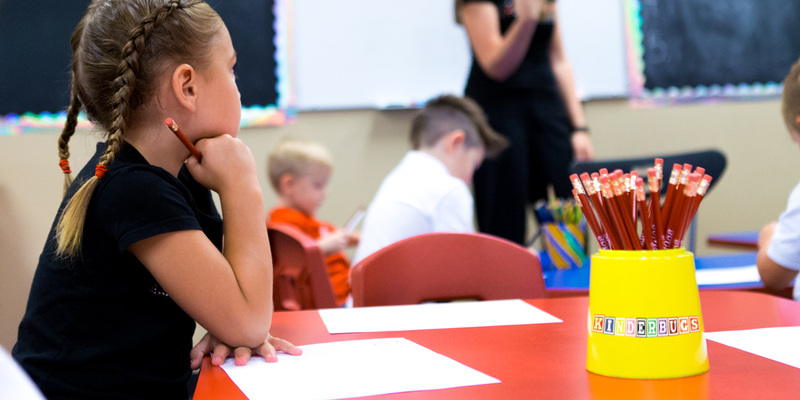 This class is an accelerated Kindergarten program, that provides an individualized education allowing students to grow at their own pace. High QUALITY matters in PRESCHOOL. Research shows that QUALITY early learning settings help develop important skills such as motivation, self control and focus. When children are young, the are learning sponges. Every new experience, word they learn, behavior they adopt, is an investment in a fruitful future. Our school provides structure which helps children grow their reading, spelling, writing and math skills. In addition, they build socialization, concept of cooperation, emotional and physical development, respect, concentration, patience, teamwork, confidence and exposure to diversity. We’ve created an environment that encompasses everything needed to succeed in traditional school and in life. 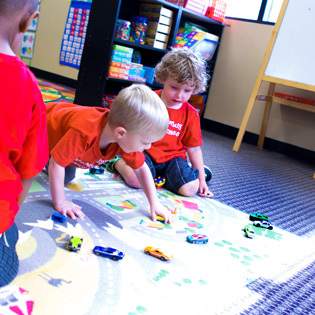 Find A Kinderbugs Location Near You! Every classroom is designed with the learning culture in mind. Activity Zone – The “Fun” spot! At circle time each of our age groups will start their morning with a welcome song, the Pledge of Allegiance, as well as use a Saxon monthly calendar to review days of the week, months of the year, weather, counting etc. 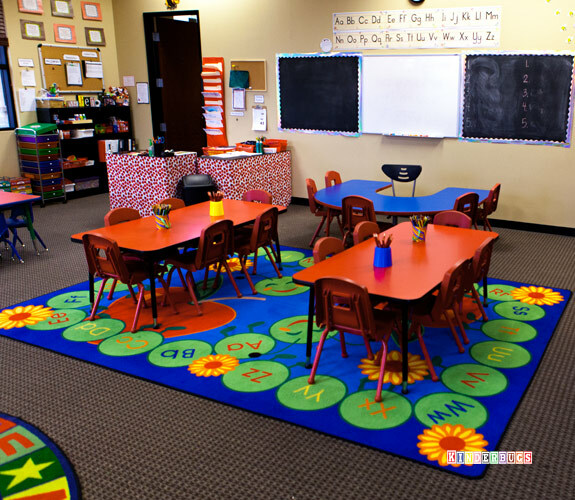 Circle time is also used throughout the day for book-look and story time as well as a place to gather and review concepts learned throughout the day. 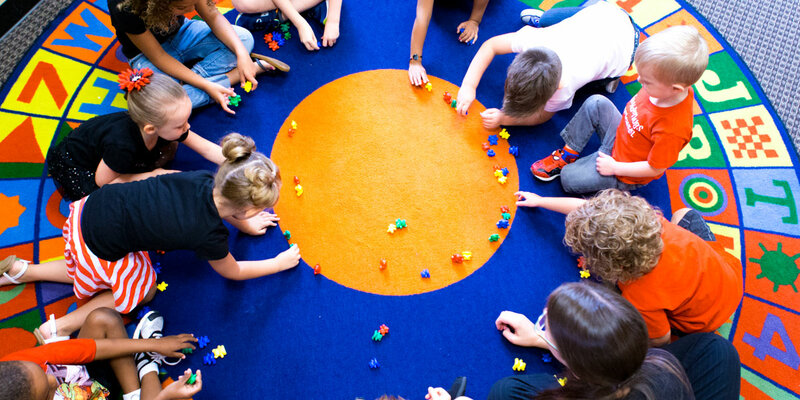 It is important for students of all ages to learn to sit in a group together and give their teacher their undivided attention. Through weekly reading groups every student is able to build their reading skills individually, no matter what level they are starting from! 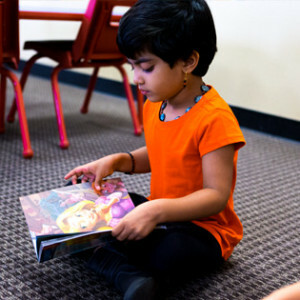 Beginning with BOB Books, then leading into the Open Court Books, all the way to chapter books…your child is sure to succeed and learn to love reading! Socialization with peers, hands on science experiments, weekly cooking activities, arts & crafts and MORE! Learning and having FUN go hand-in-hand! 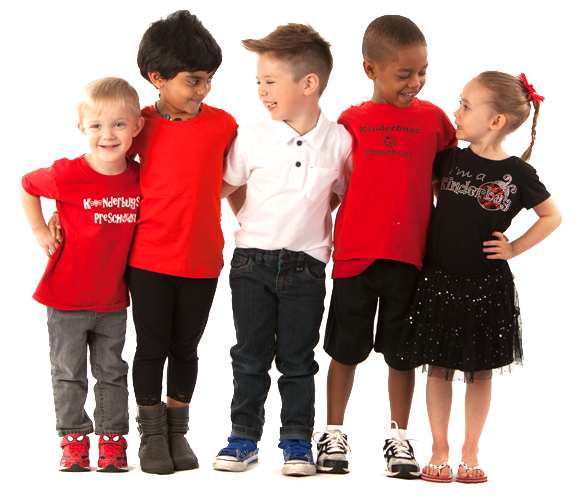 Discover The Great Things At Kinderbugs! 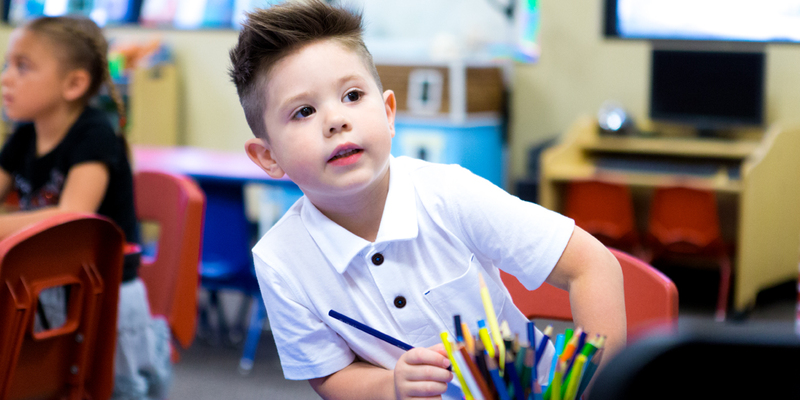 We love visitors and invite ever parent and child to find the perfect school for them… We know you’ll find great things at Kinderbugs! This past year was our first year at Kinderbugs. We had 3 daughters go to their school. Every single one of them exceeded our expectations in their education for their age. Our oldest was in the kindergarten program for Kinderbugs first year, the curriculum was amazing. Going Into our 2nd year and we have one going in the new Kinder prep program! I can’t wait to see how much she grows! Voted Best Of Gilbert by U.S. Local Business Association!